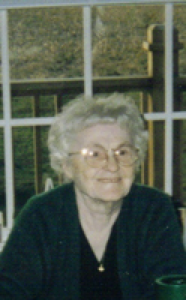 Florence G. Simon, 92, Fair Haven Shelby County Home, Sidney, Ohio died at the nursing home on Sunday, June 17, 2007 at 12:30 AM. She was born November 2, 1914 in Russia, Ohio the daughter of Marion and Lena (Francis) Coffield. She married Chester T. Simon on December 8, 1934 and he is deceased. Surviving are two sons, Richard and wife Elaine of Sidney; Thomas and wife Beverly of Sidney; two daughters, Barbara O&#39;Leary of Sidney; and Deborah Latimer of of Columbus, Ohio; ten grandchildren; seventeen great-grandchildren and two great-great grandchildren; two brothers, George Coffield of Sidney and Marion of California and one sister, Rosalie Burch of Alaska; three brothers and three sisters are deceased. She was a member of the Sidney VFW Auxiliary, belonged to several card clubs and the Altar Rosary Society. She was a member of Holy Angels Catholic Church. She has worked at Wilson Memorial Hospital as the supervisor of the dietary department. A Mass of Christian Burial will be held on Wednesday, June 20, 2007 at Holy Angels Catholic Church at 10:30 AM with Rev. Patrick McMullen. Burial will be at Shelby Memory Gardens, Sidney. Friends may call at Salm-McGill and Tangeman Funeral Home on Wednesday, June 20, 2007 from 9:00 AM until 10:00 AM. Memorial contributions may be made to the Fair Haven Shelby County Home, 2901 Fair Road, Sidney, Ohio 45365.